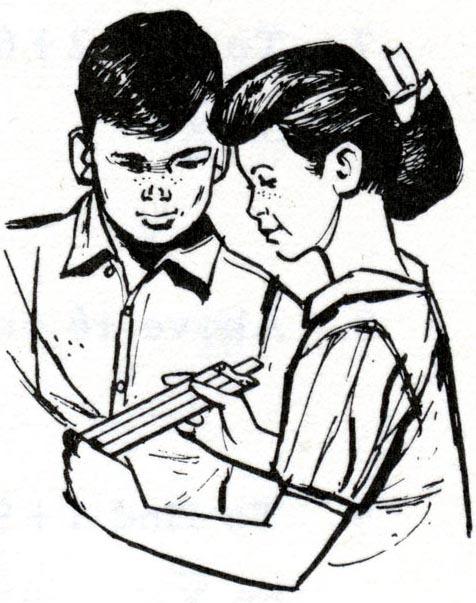 Before there were apps for tablets and smartphones, before mathematics education software was easily installed on personal computers, before electronic calculators entered professional practice and the classroom, Americans used slide rules to make calculations. Slide rules are analog computing devices marked with linear or logarithmic scales, some on a moving slide and some stationary on the base of the instrument, so that two numbers may be added or multiplied by aligning the slide. Slide rules can perform the basic arithmetic operations of addition, subtraction, multiplication, and division, but they can also be marked for computing with logarithms, square and cube roots, exponents, trigonometric functions, and vectors. 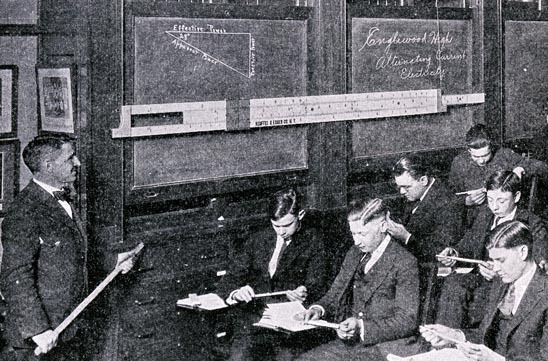 From the late 19th century until about 1970, slide rules served as the principal calculating instruments for engineers, scientists, electricians, navigators, high school and college students, and others. Firms in the United States, Europe, and Japan made millions of the objects, and slide rule cases that attached to a belt loop were as common a sight on the hips of technical students in the 1950s and 1960s as cell phone cases were in the 1990s and 2000s. The Mathematics Collection in the National Museum of American History contains over 200 slide rules, one manufacturer's display on how a slide rule is made, nearly 30 replacement and broken parts, and over 40 pieces of documentation for the collection, such as instruction manuals and warranties. The rules range in date from the 1790s to the 1980s, and they are made from wood, plastic, plastic covering a wood or bamboo core, brass and other metals, and paper. Most of the rules are linear (i.e., rectangular), but about one-third of the collection consists of circular and cylindrical rules. The smallest is a slide rule tie clasp that is about two inches long; the largest is a seven-foot-long demonstration rule for mounting on a classroom wall. The scales on most of the rules, though, are standard lengths of five, ten, or twenty inches. The rules were manufactured in the United States, England, Japan, France, Germany, Switzerland, Denmark, Hong Kong, and Canada. Four of the rules are patent models; the Smithsonian inherited a significant portion of the models American inventors were required to submit with their patent applications in the 19th century. There are also numerous patents associated with various manufacturers and individual product lines. Most of the rules were given to the Smithsonian by individual donors, with a few dozen coming from educational institutions and government agencies or from Keuffel & Esser, which was the most successful American maker, as the company wound down its production of slide rules around 1970. The Smithsonian purchased only a few rare forms of rules, mainly in the 1960s, and a few others are of unknown origin, categorized as "found in the collections." About three-quarters of the rules were collected after 1980. These pages first present the entire collection by shape of slide rule, with the objects arranged in approximate chronological order within each section. To find slide rules associated with particular manufacturers, see the index by makers & retailers page. It can also be instructive to consider the different materials used to make slide rules, how manufacturers have shifted toward plastic over time, and how the appearance of rules made from the same material has changed over time. Next is an index by purpose, providing examples of the diverse activities in which slide rules were utilized. In many cases, slide rules were made for specific types of calculations. Finally, a resources page provides suggestions for further reading and links to other sites and online exhibits.